Hi, my name is Melody Crust, and I love to quilt! By that I mean the stitching through the layers part. 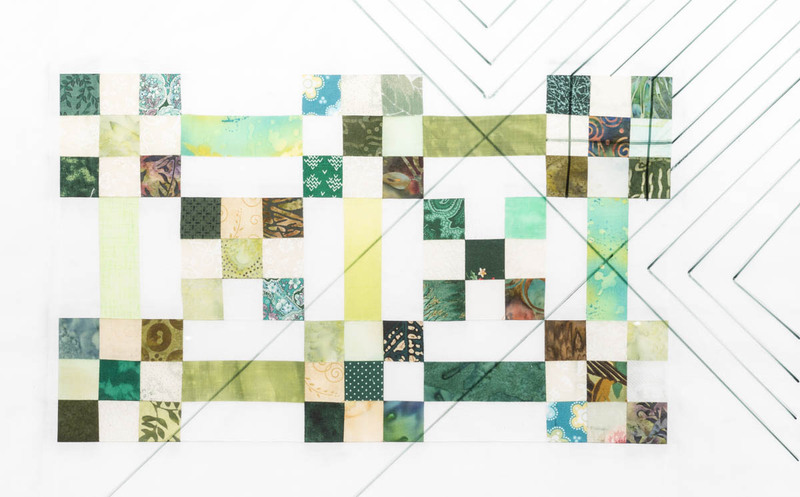 I am not afraid of free-motion quilting and stitch those designs often. But lately, I have been experimenting with straight-line designs. You know the ones I mean, walking foot only designs. It is a fascinating journey. One of the most important things to consider is you! How skillful are you? What do you like? Only questions you can answer. Perhaps the real question is how comfortable are you with the stitching through the layers process? If you are confident with your skill, choose something that is a challenge. A boring design to stitch will make a boring quilt and probably an UFO. We should love the process. If you are less skillful, choose a design that challenges you but is realistic (no UFO’s please). I begin by thinking about designs that I like to see and sew. 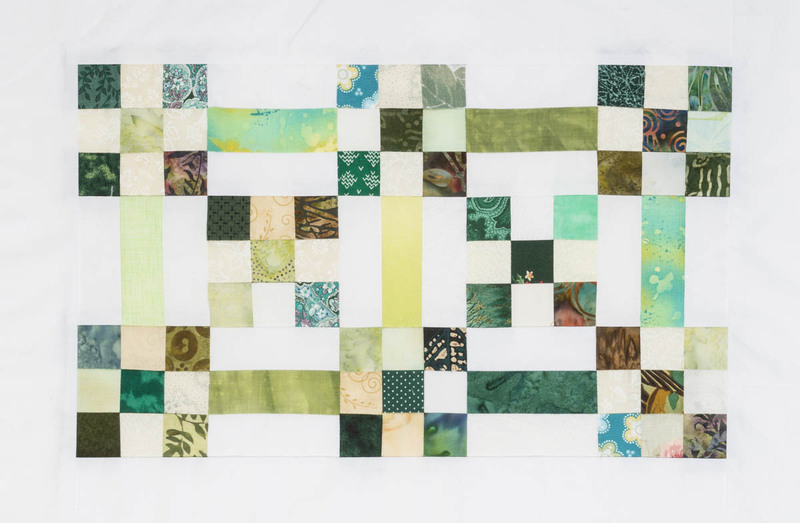 This first picture shows a small quilt, my personal favorite block, the nine patch. 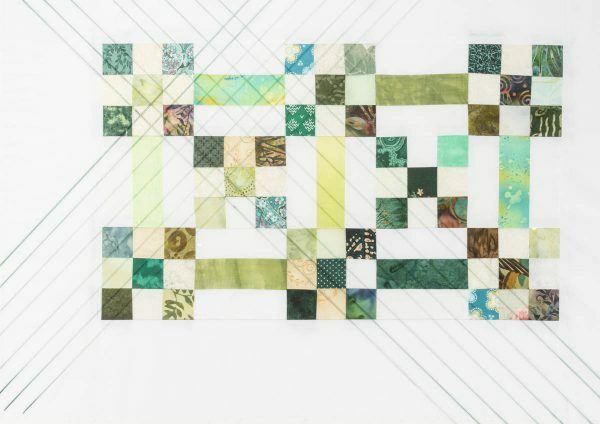 I wanted this quilt to be small and in order to control the size it is easier for me to do this square set. But I really like to set blocks on point so the challenge is to suggest that somehow. A great way to play with design possibilities is to draw them on a clear piece of Duralar™ or Plexiglas™. A piece about 18” x 24” is a good place to start. (Tape the edges so you don’t run your pen off the plastic and onto your quilt top.) Place it over your quilt, draw test patterns with an erasable water-based felt pen and take a look. Remembering that I like blocks on point, the first lines I want to try are diagonal ones. Usually, I start with the simplest idea first. These lines diagonal, parallel lines in both directions. This is a very traditional design, perfect for a beginner; looks good, is easy to stitch and hides all the starts and stops under the binding. This is a good design, but I need more of a challenge. I’m still stuck on the idea of “on point”. So I consider diagonal lines that will highlight the blocks. This has real possibilities. I have added lines for stitching the border, and I like these lines, too. They are pleasing to my eye and I can hide many of the starts and stops under the binding; always a good thing. 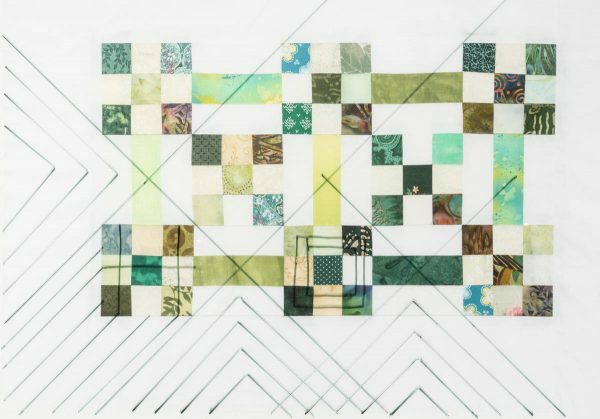 As a matter of form and function, the quilting needs to be even over the surface. So I’ll need to add some quilting in the nine patch blocks. The lines drawn here seem to fight with the diagonal lines. Something else needs to happen. Here, I have added a different thought for the nine patch blocks; concentric squares. Because the quilt is small (15” x 21”), it would be easy to turn so I could stitch it with the walking foot. Just a couple of thread ends to deal with, and it meets the quilt’s form and function needs perfectly. And I like the way it looks! It’s finished! Knowledge is the secret to a well-designed quilt: know what you like and be comfortable with your level of expertise. With this knowledge, you will be pleased with the finished look of your quilt. 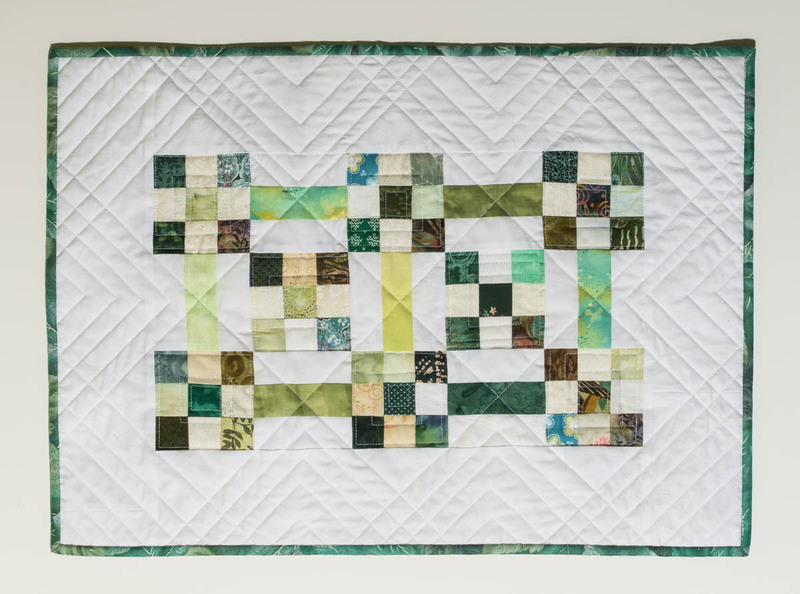 Read more about quilting with straight lines by following my blog!